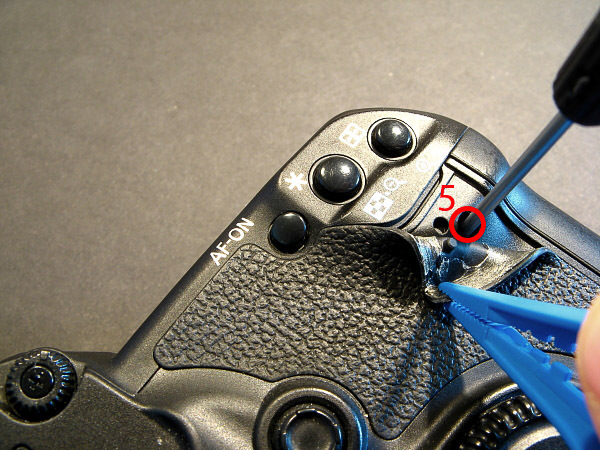 Canon EOS 30D » Detailed modification instructions for the 30D. For this tutorial I have to thank Timothy Ball who actually performed this modification with a bit of my help trough e-mail and was kind enough to provide me with a detailed picture report of the modification. I have used his photos and descriptions to create this tutorial. Take care of a tidy, clean table so you can work neatly and without getting disturbed. If you may not finish the whole conversion in one go, make sure to have some boxes ready to keep everything dust free. 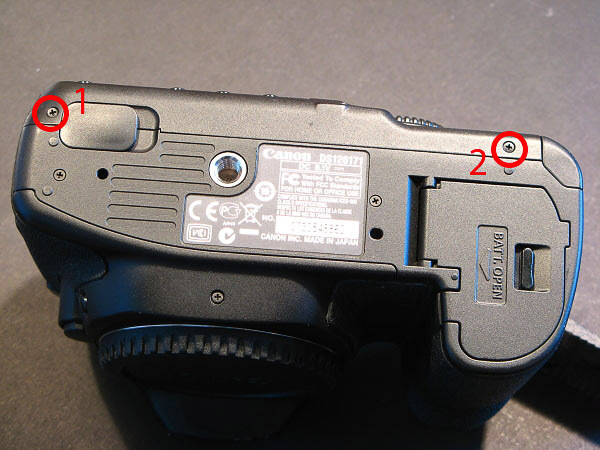 Remove the screws securing the backside of the Camera (8 screws):) 1+2 at the bottom back side of the camera 3+4 at both sides of the of the viewfinder Screw number 5 is recessed under the rubber covering material below the AE/AF selector buttons. 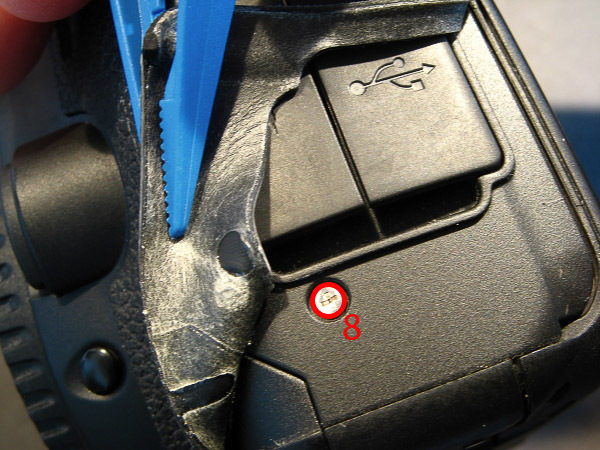 The rubber peels of fairly easily and re sticks if kept clean and free from fingerprints Peel away the rubber covering material on the top left edge above the terminal covers, to reveal screws 6 and 7 Peel aside the rubber below the terminal covers still on the left edge to remove screw number 8. If all the above 8 screws have been removed, the back should come away from the rest of the body. 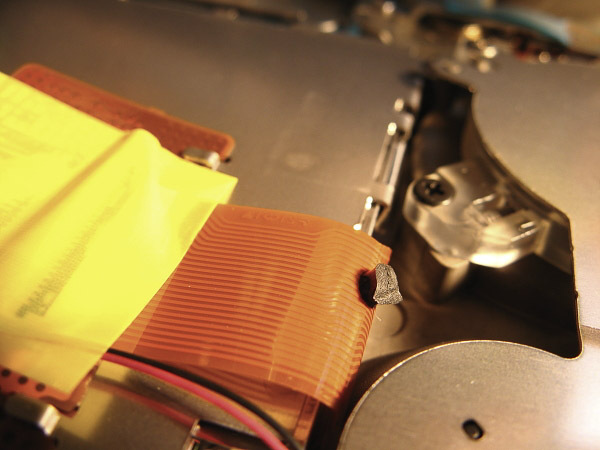 There are ribbon cables needing to be disconnected before it comes away fully. 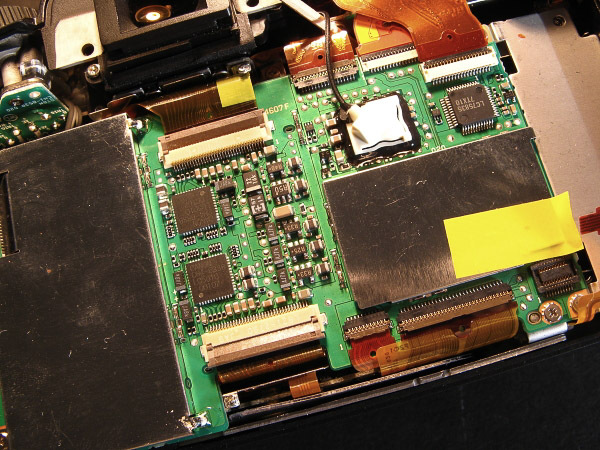 HOWEVER on this body some of the sealant around the white central component (marked above) had become glued to a ribbon cable on the back, this had to be stretched apart and cut away without damaging anything around it! 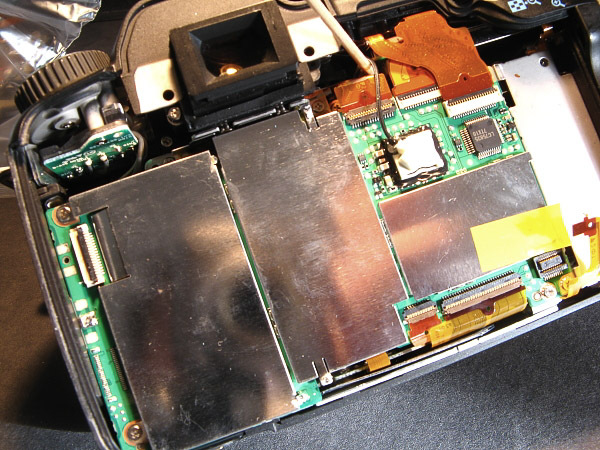 Here is the black "stump" of glue attached to the ribbon cable in the centre of the back. I'm sure this must be a rare occurrence! 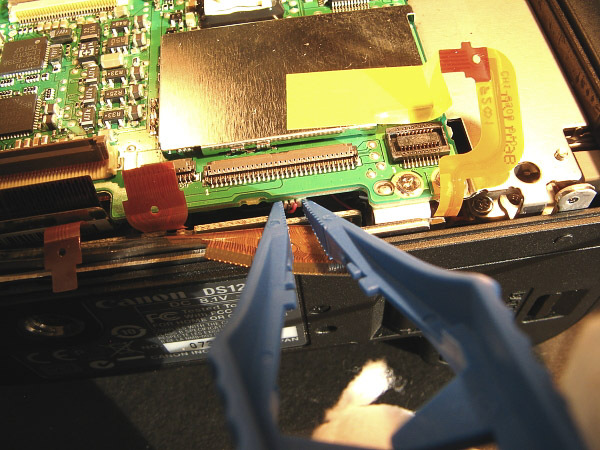 Now remover ribbon cables A and B from their socets. 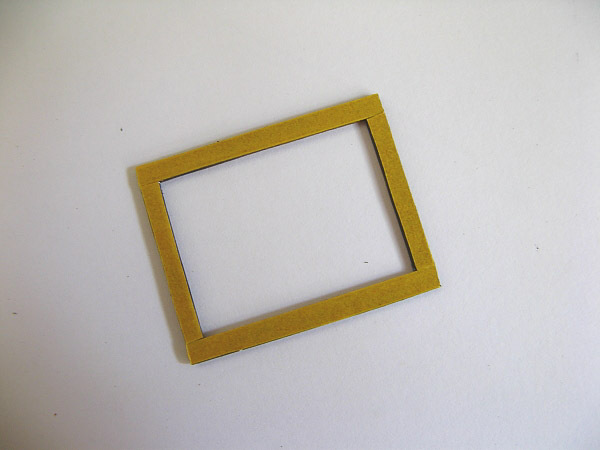 (A) is a hinged type. 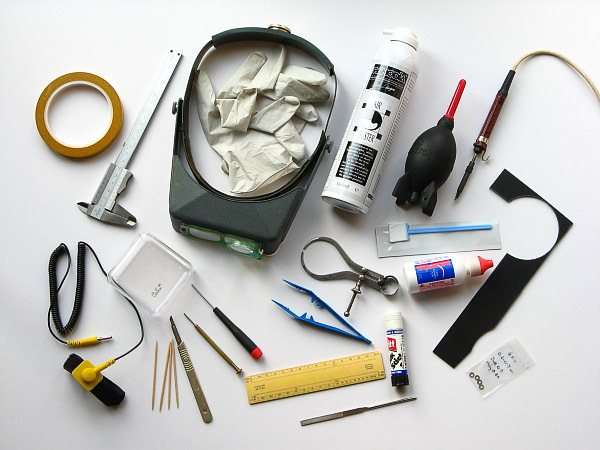 It is locked in place with the brown hinged part, pry this up with a toothpick and once it is loose, the cable should come out very easy. (B) is a pop of connector, simply pull up gently using tweezers or a finger nail. Now set aside the back safely. Free and remove the main cicuit board. Remove the soldered metal shield in the middle to uncover the sensor connectors: I'm using a cocktail stick to keep the black wire away from where one of two solder joints have to be desoldered to remove the central metal shield from the board. 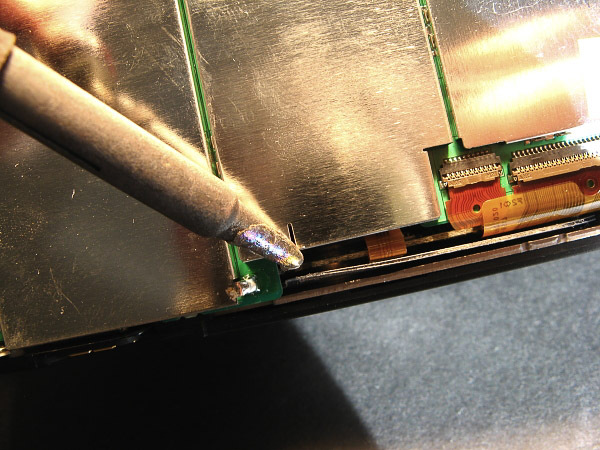 I didn't remove the solder, I just opened the joint with the tip of the flat head screwdriver when the solder melted. It's a good idea to push down with a cocktail stick on the yellow taped ribbon cable just under this joint to keep it away from the heat. I had expected to have a problem here with hard to melt solder, but it melted easily Disconnect the ribbon cables and other connectors from the main circuit board. C,D,E,F,G,H and I are the hinged type (flip up the brown part and slide out). J,K and L are a slide type, these can be gently pulled out of their sockets using a toothpick. 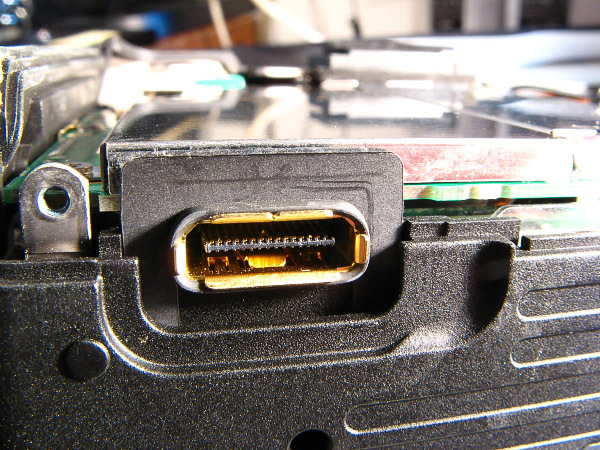 M is an optical connector, the black cable simply slides out of the white part. N is a small plug that has to be pulled out gently, do not pull on the wires (if plug M is difficult to get loose, first remove the screws in the next step, and lift the board a bit to gain better acces. 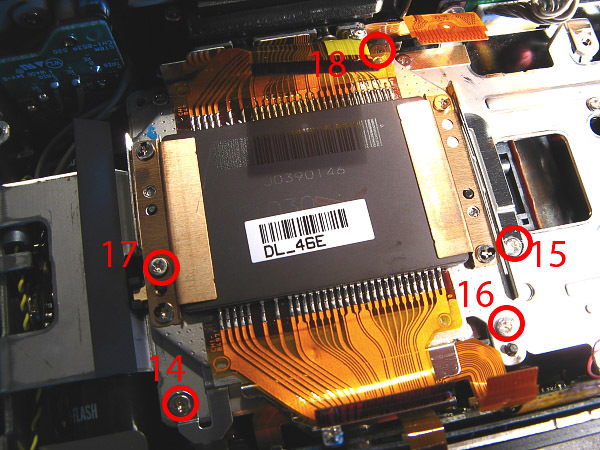 Remove screws 9,10,11,12 and 13 holding down the circuit board. Once the screws are out, you can flip the board over to the top side where it stays connected with a gray bundle of cables. When lifting up the board, gently slide the board to release both the right side and the connectors at the left side. 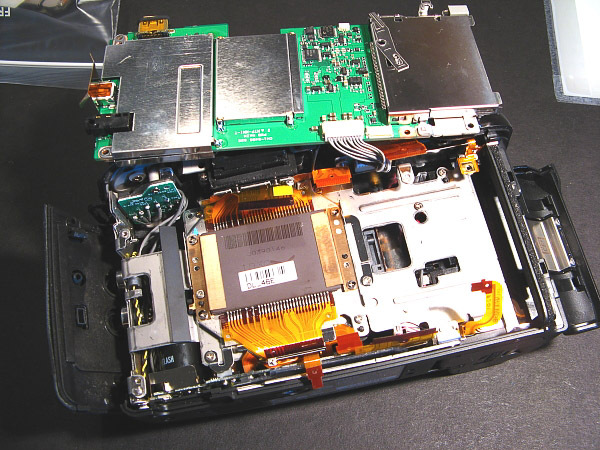 Remove the sensor from the body At last you arrive at the sensor assembly. 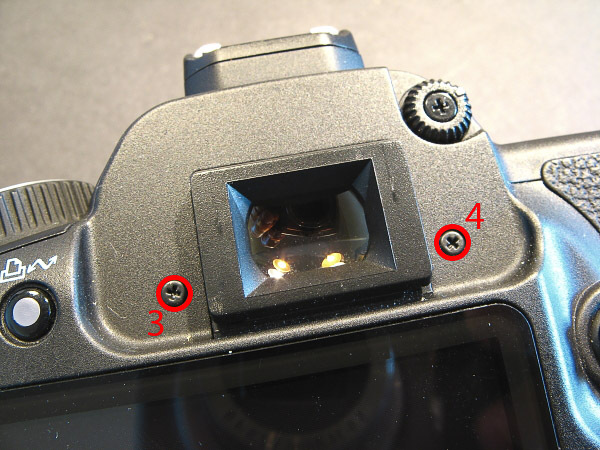 There are two screws (14 and 15) one on the right, one at the bottom left, holding thin metal grounding straps. Three other screws (16, 17 and 18) really hold the sensor in place. Their seats have one or more thin metal shims on them which are there to calibrate the position and angle of the sensor. Do not disturb them, or keep very good track of each shim as they have different thicknesses. 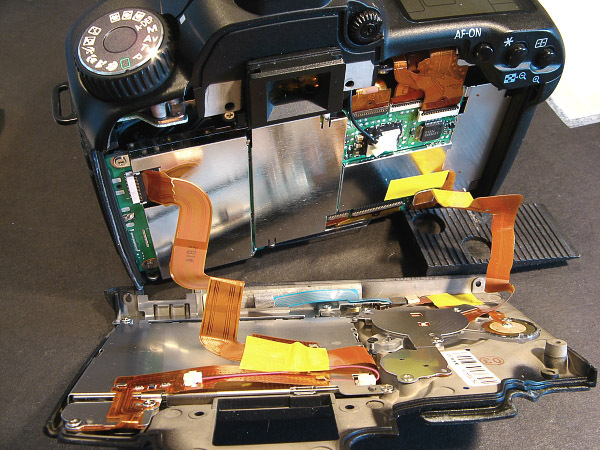 Before you lift the sensor out of the camera, please make sure everything is clean and wear your nitrile gloves. 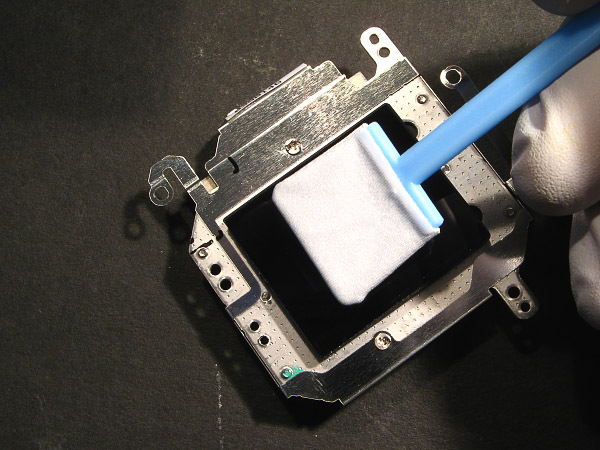 It is essential to keep these parts of the camera clean and free of dust. Now you have the sensor out, you can start removing the filter. 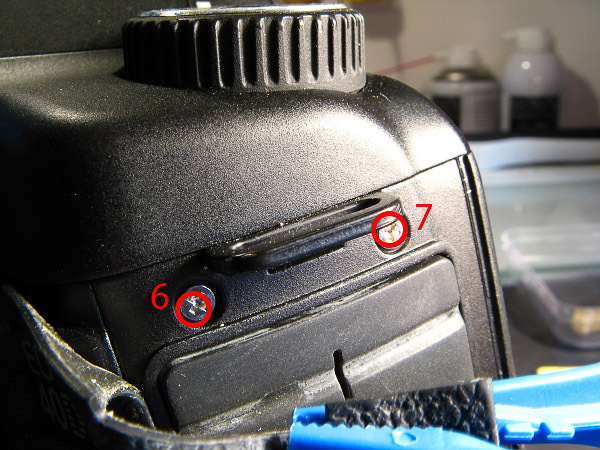 2 screws (19 and 20) hold down the metal shield and the clip that retains the first AA\dust shake filter. 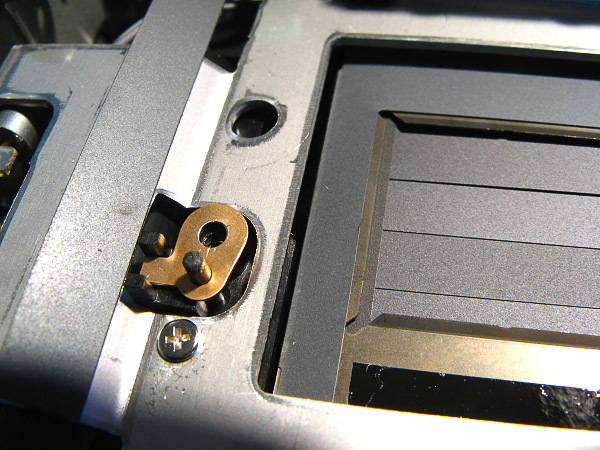 A second pair (21 and 22) secures the plastic frame that holds the second AA\IR filter. You can either remove the two filters separately, or remove them as one unit. 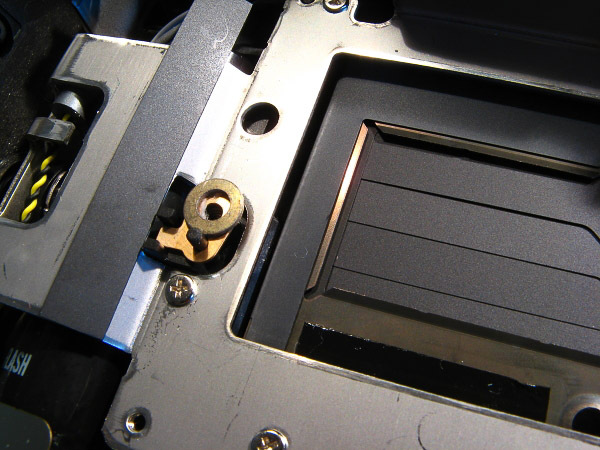 The plastic frame is stuck to the sensor with a sticky gasket. Gently pry this loose with a knife, screwdriver or some plastic wedge. Once the filters are removed, it is time to attach your own custom filter. In this conversion a very easy and straightforward method is chosen. 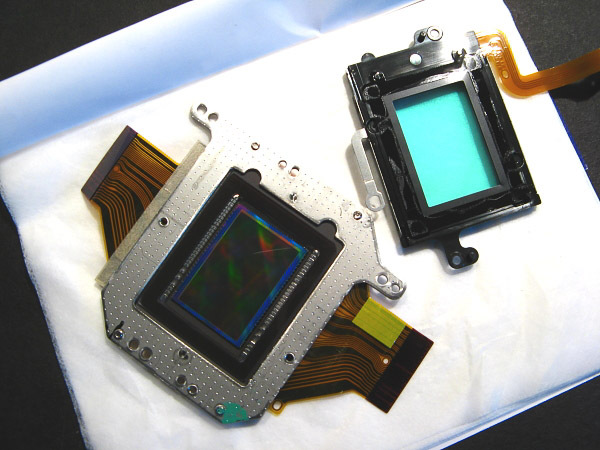 The whole original filter array including the plastic frame is left out, and the new filter is attached directly to the sensor and sensor frame using double sided tape Before installing the filter, clean and check the sensor cover glass and the backside of the new filter. 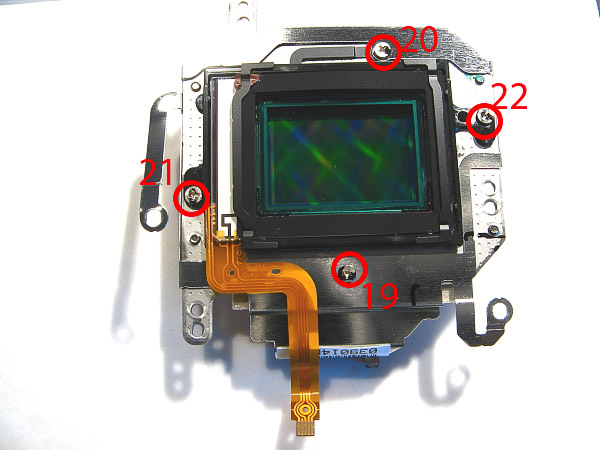 Any dust or defects here will need the whole camera to be taken apart to fix. 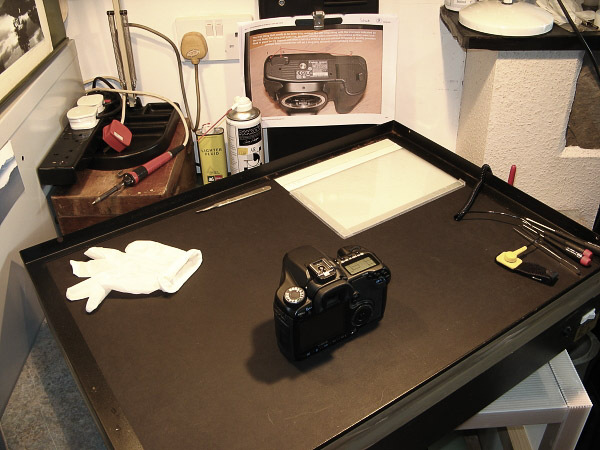 The sensor cover glass should be clean, so a gentle blowing to remove any dust should do. The new filter has been cut and handled, so there may be a bit more cleaning nessesary. Check the surfaces thouroughly under bright light possibly using a magnifying glass. It is very important foor these surfaces to be clean. 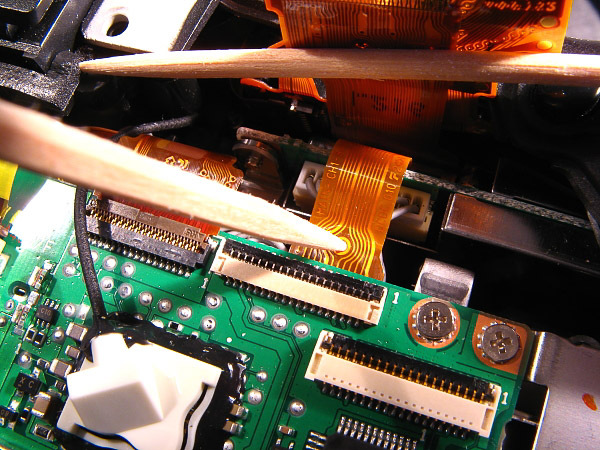 Carefully attach all Cables connected to the circuit board.